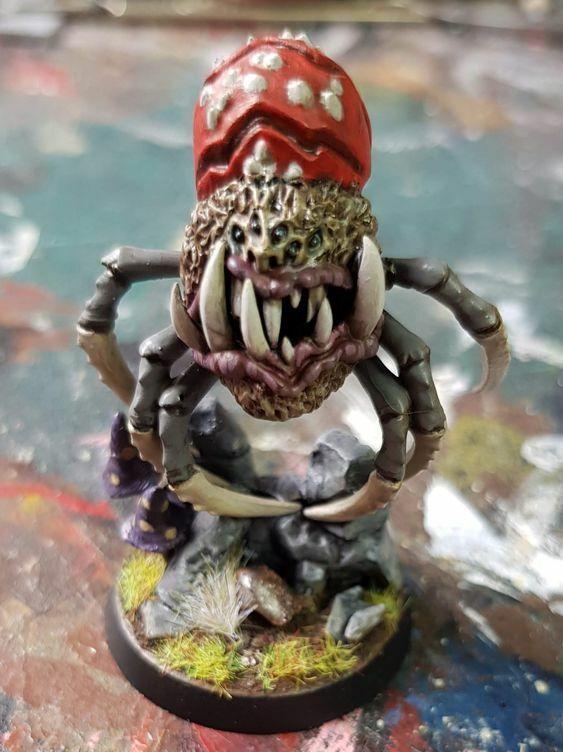 Sure she's only got 6 legs but then so did the original tyranid/ork spider squigs. Plus I couldn't save the last pair of legs as I wanted to keep the abdomen intact. So, call her an insect-squig if you like. 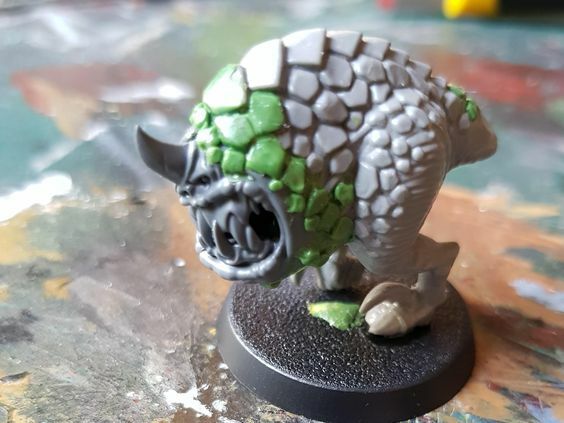 If you like your cyboars, you may have been left with a few boar rear ends after converting. Well they fit nicely after a bit of cutting. "My greenstuff skills aren't that good." 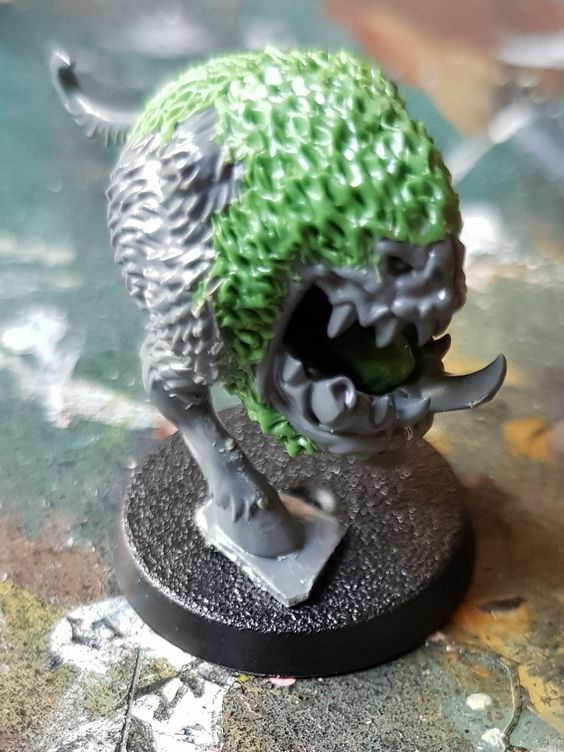 Thanks - I'm pretty pleased with my fur technique, but the scales were just small irregular balls of greenstuff squished with a flat tool. "but the scales were just small irregular balls of greenstuff squished with a flat tool." Perhaps that is the same exact way that the person who sculpted the cold one did it. It does not mater how you did it, but that you did it. Oh, and by the way, the scales look damn good!